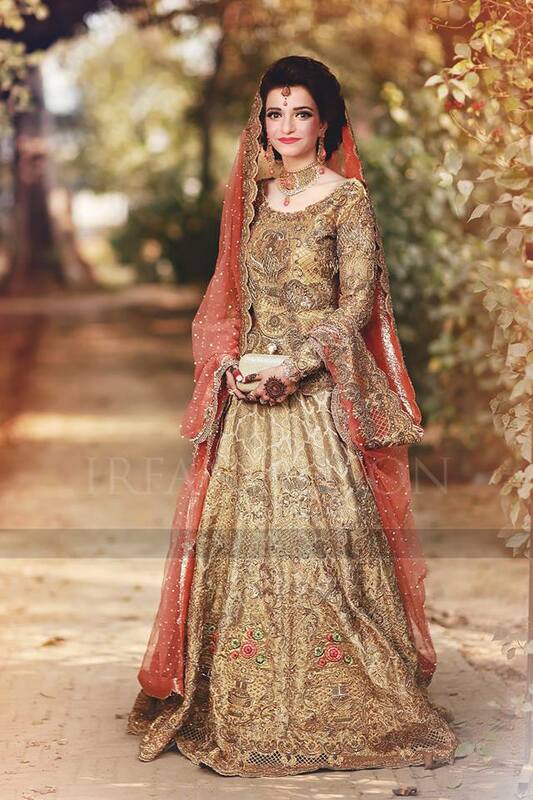 In today’s world, fashion is not considered as a confined term. 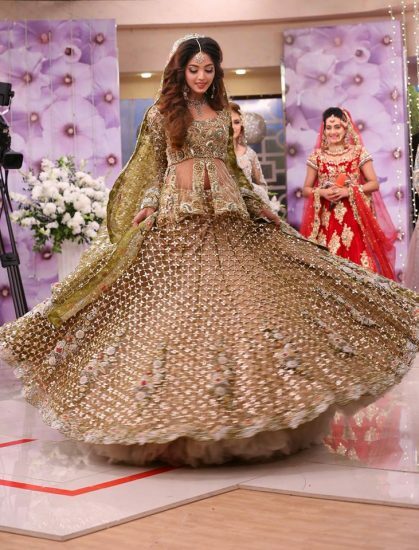 It has gone beyond the versatility of creativity. 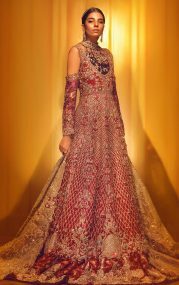 Now you cannot even mark some boundaries between most of the emerging fashion trends these days. 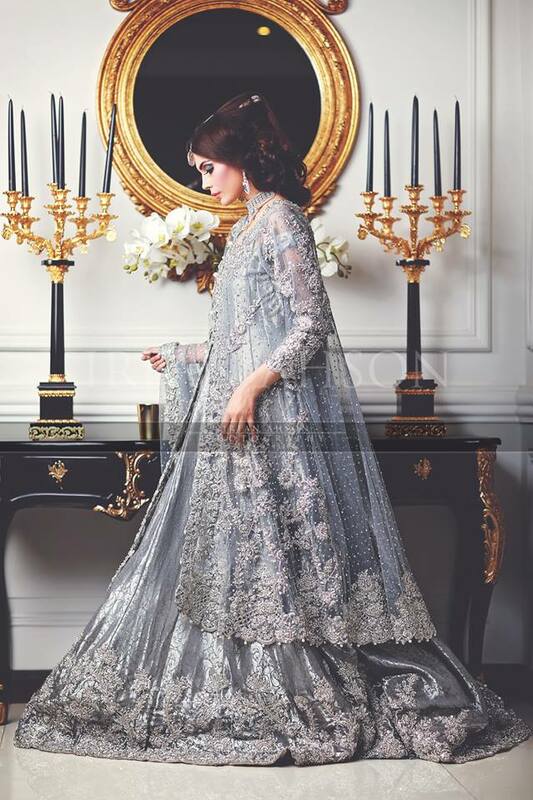 The heavy influence of cultural fusion can be seen everywhere in our dressing styles. Whereas in an eastern part of the world, Pakistan and many other nations show a diversity of their fashion trends. 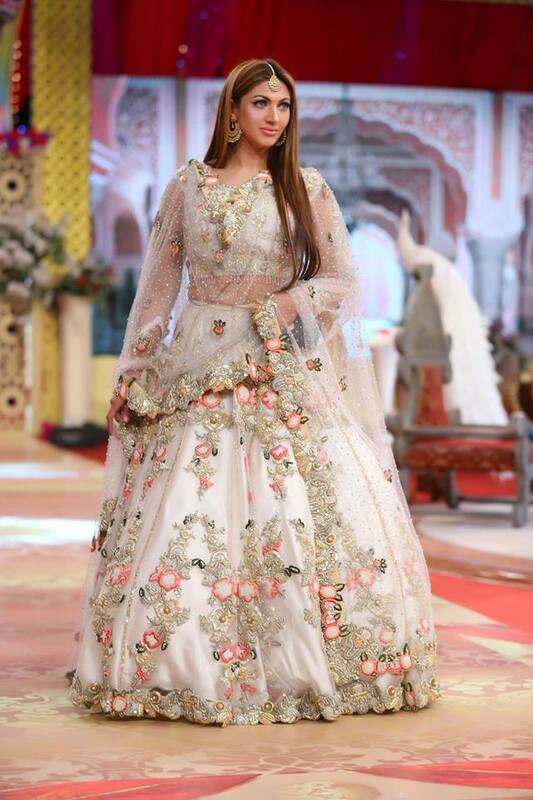 Now, this diversity has even touched our long old traditions and wearing trends. 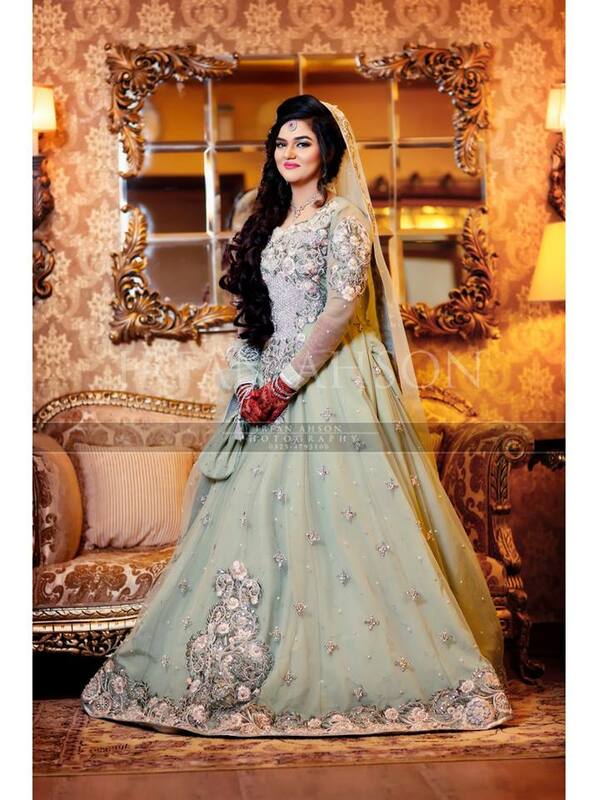 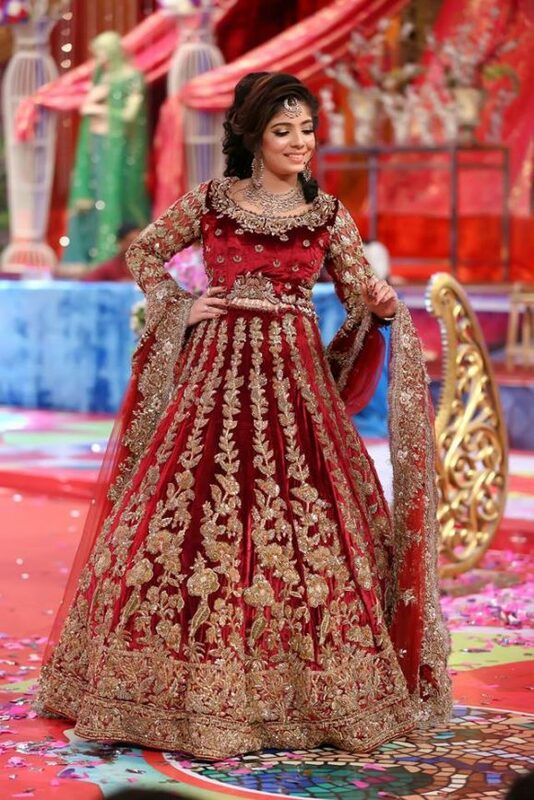 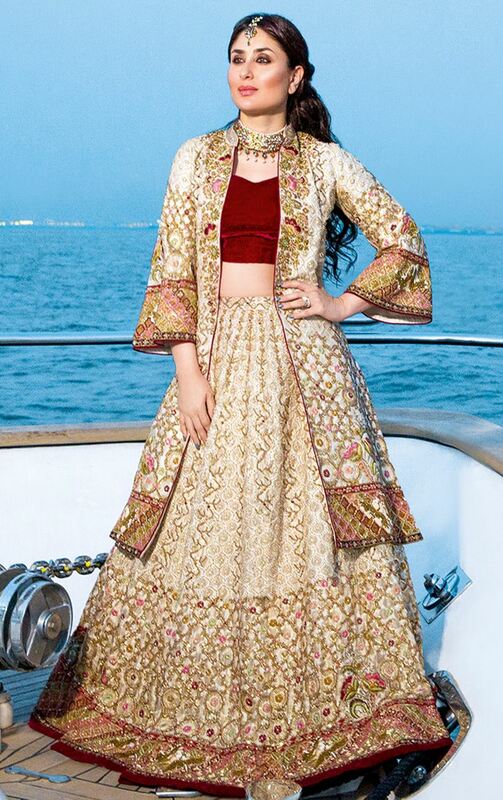 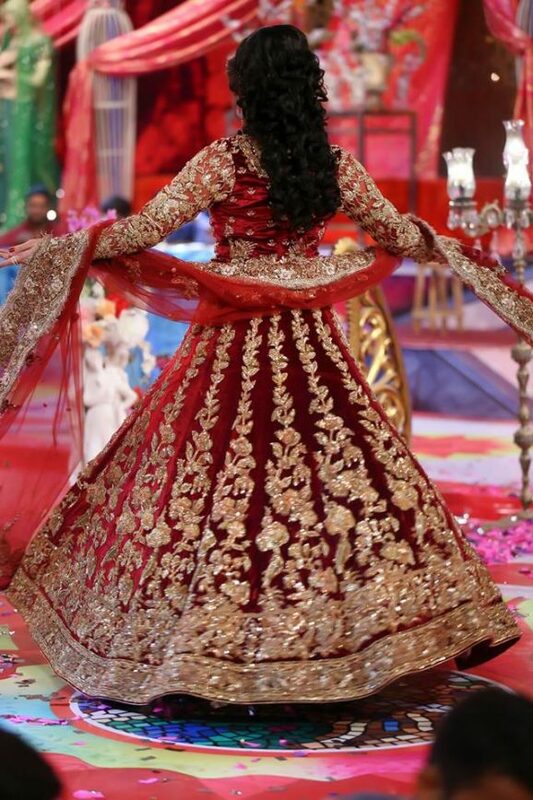 So much that the old wedding lehengas are getting replaced by beautiful, elegant and western style wedding gowns. 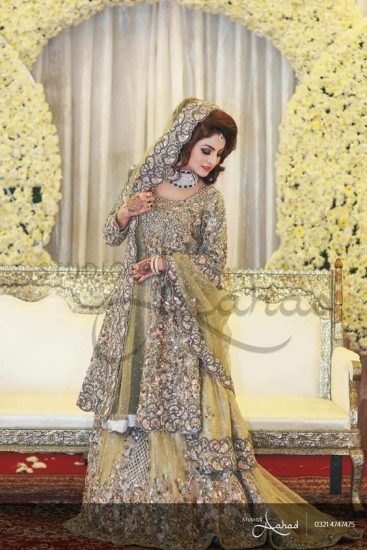 However, our most eminent fashion designers have created an amazing emulsion of the western and eastern wedding gowns and brought out a great series of variant and stunning wedding gowns. Here we will share the Latest Asian Bridal Wedding Gowns Designs. 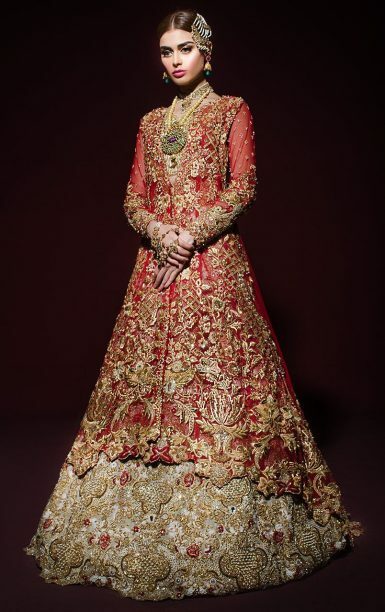 So ladies! 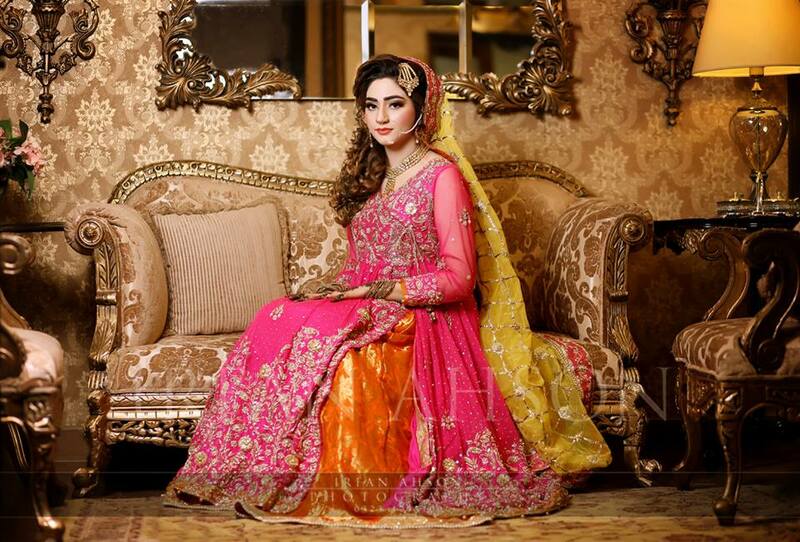 Get yourselves immersed in this great useful insight, we are going to reveal in this article. 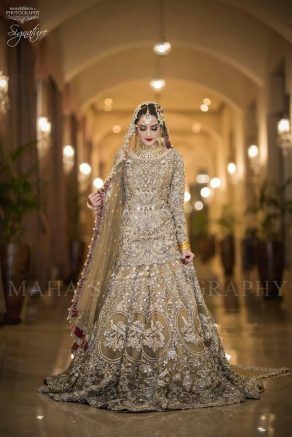 This article is full of new and latest unique wedding wear gown trends for the year 2018. With the launch of much bridal couture by Pakistan’s most famous designers like Deepak perwani, Sana safinaz, Nomi Ansari, Tabassum Mughal and many others, it can be told that this year is going to bring revolutionary series of bridal gown dresses for girls and women of all ages. 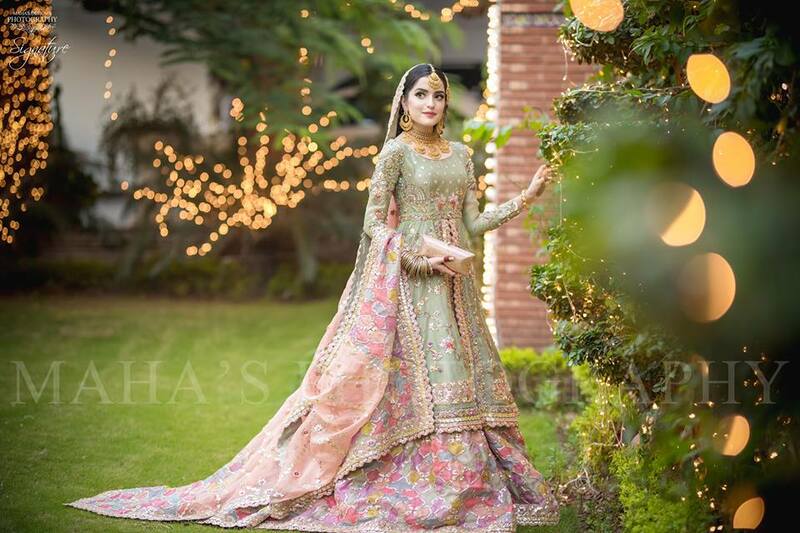 Keep your expectations go crazy because the latest buzz regarding these wedding gowns is going to blow your mind with their amazing hues, cuts, styles and embroidery works. 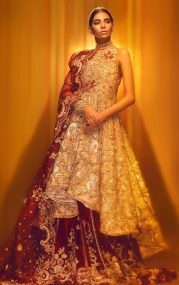 All the latest collections of these bridal gowns are adorned and embellished with beads, laces and stone work. Gown dresses have ever been the part of our wardrobes especially when it comes to the dresses for formal occasions. But due to their sheer elegance and stunning outlook, now girls can’t refrain themselves from carrying them even on their wedding day. 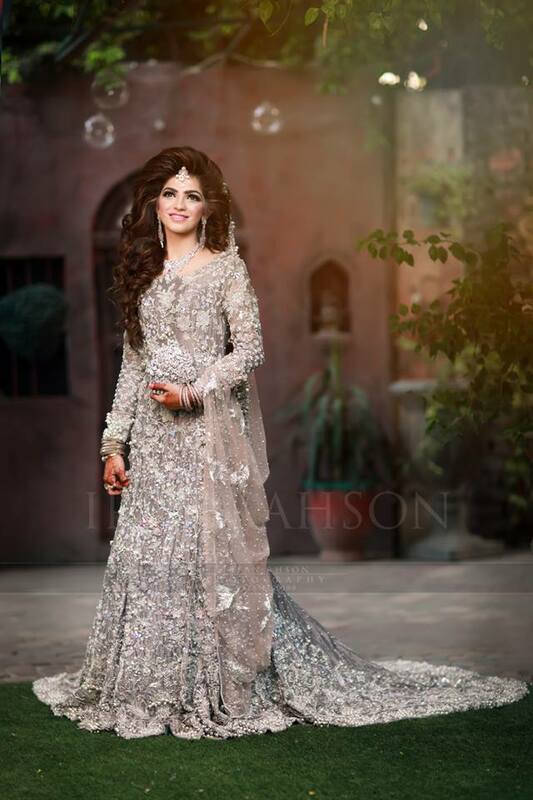 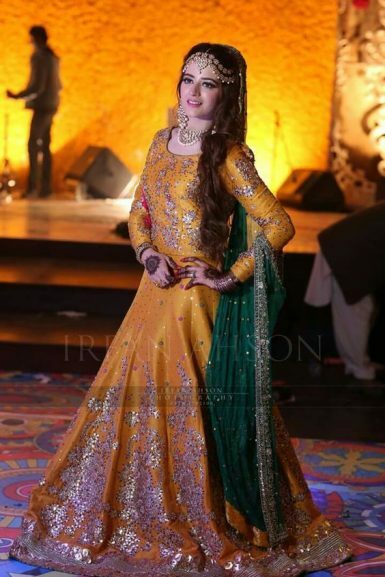 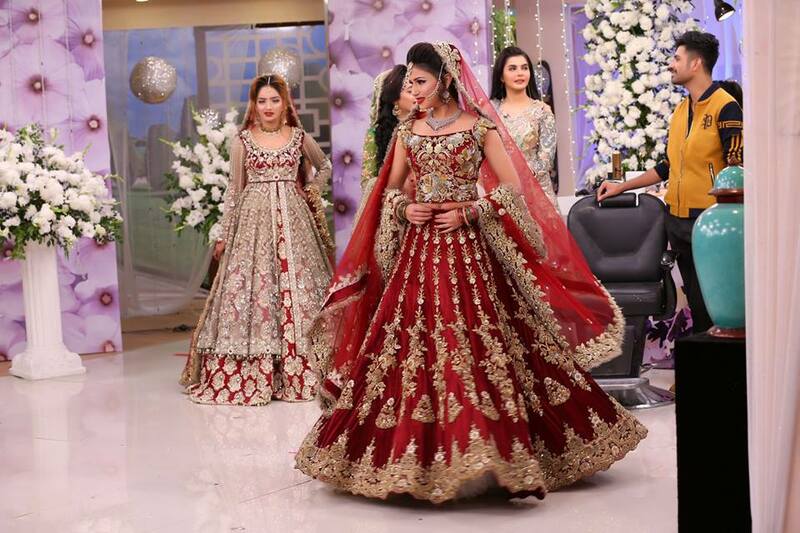 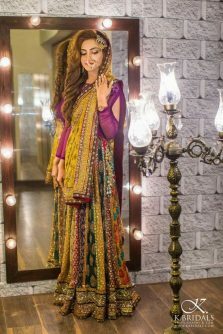 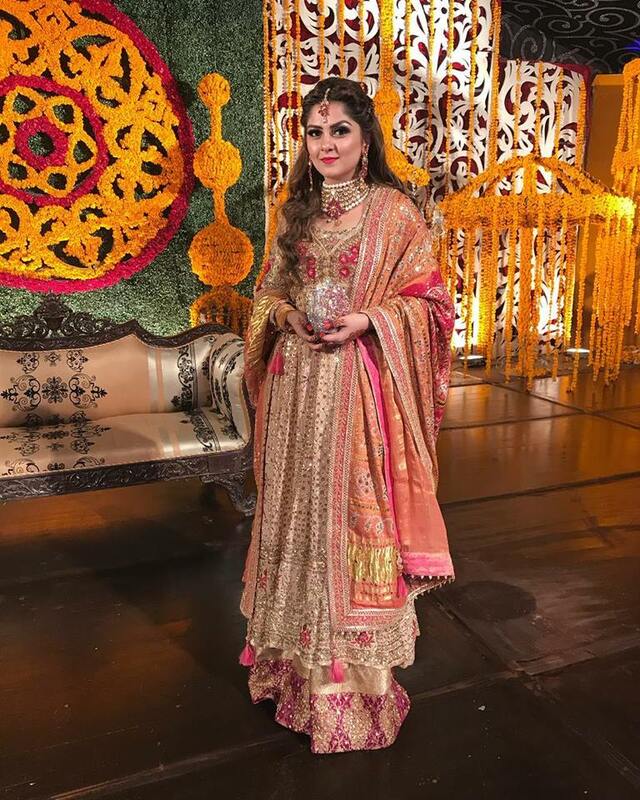 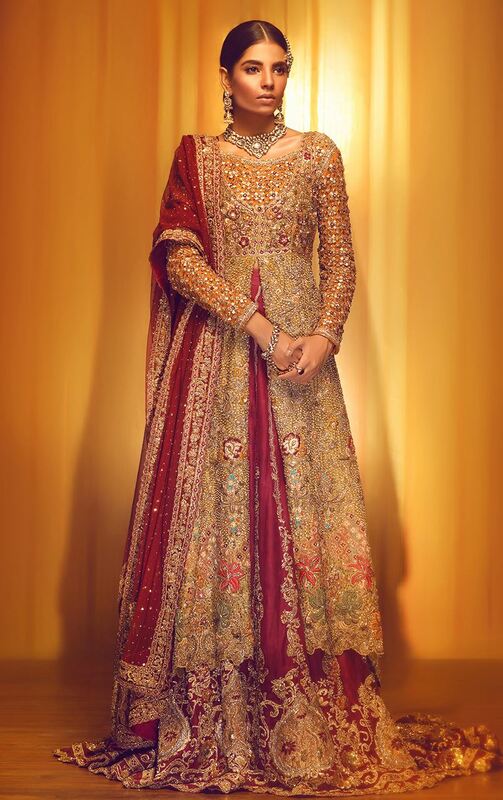 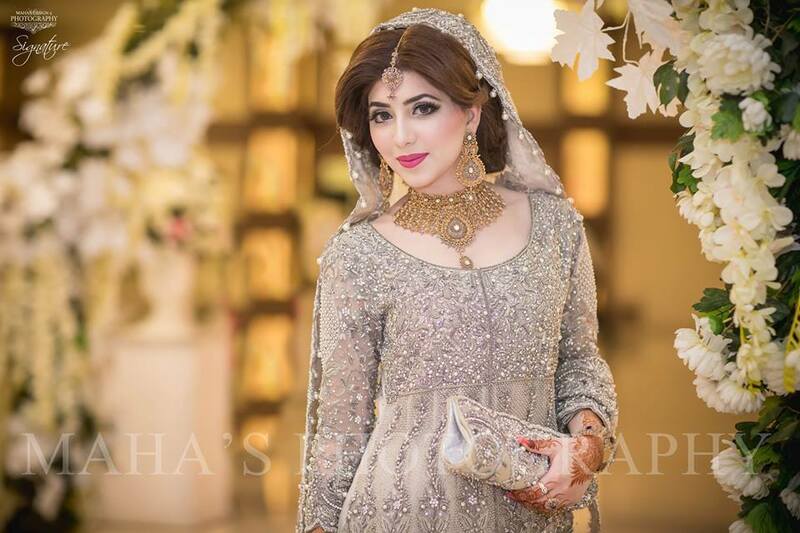 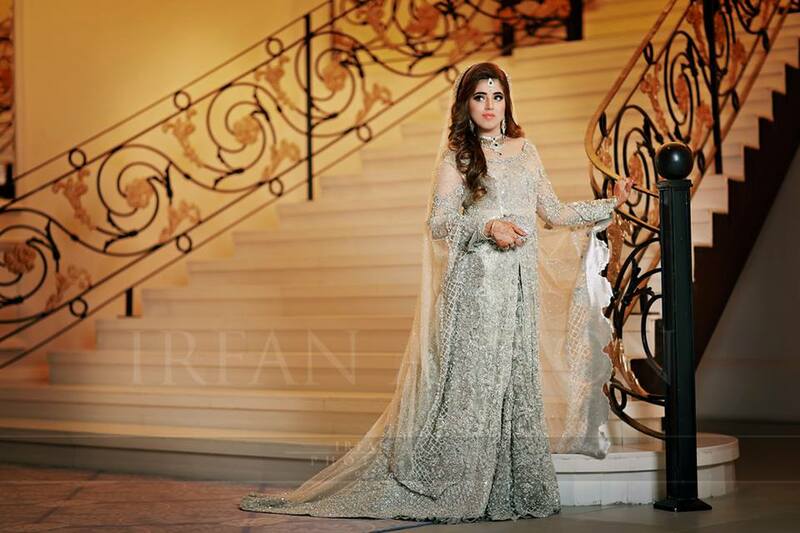 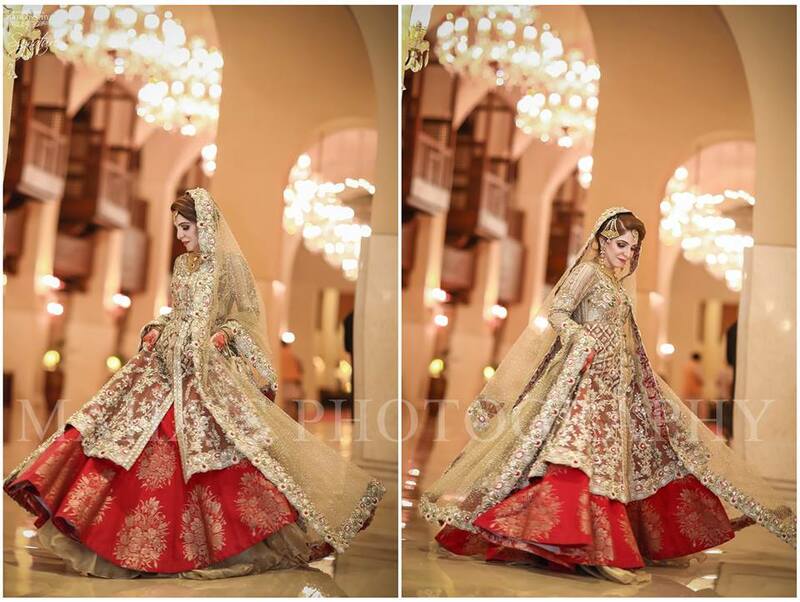 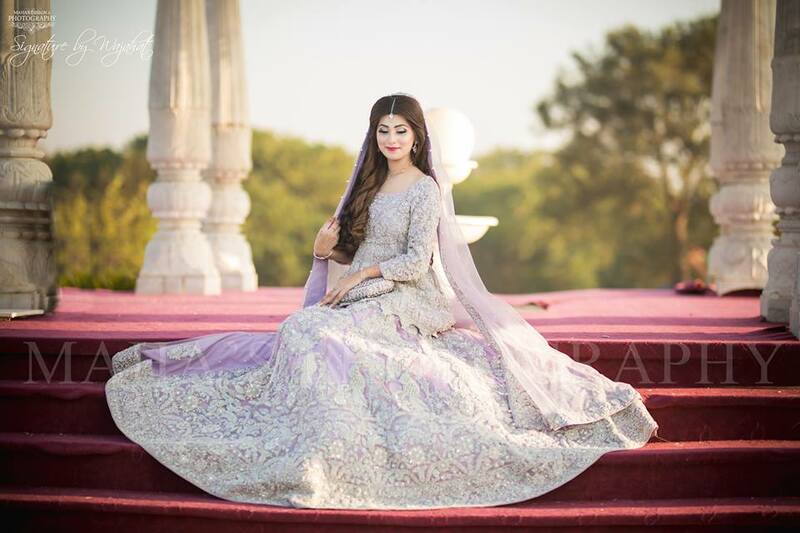 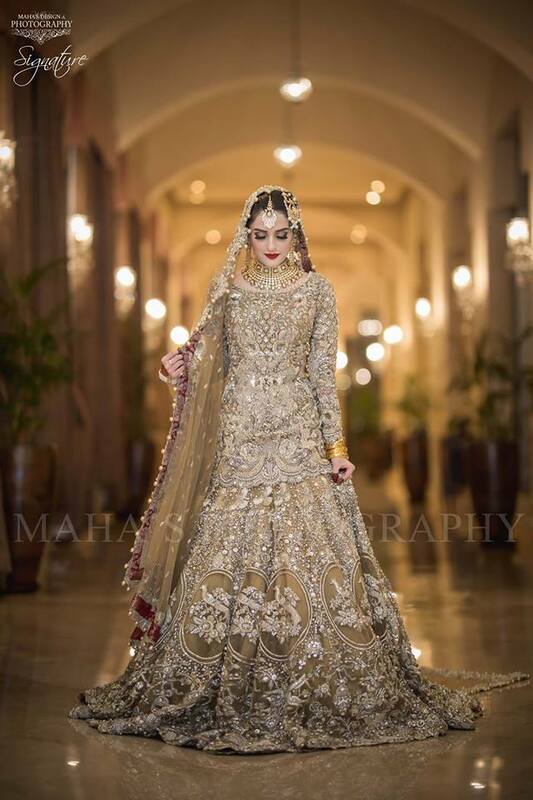 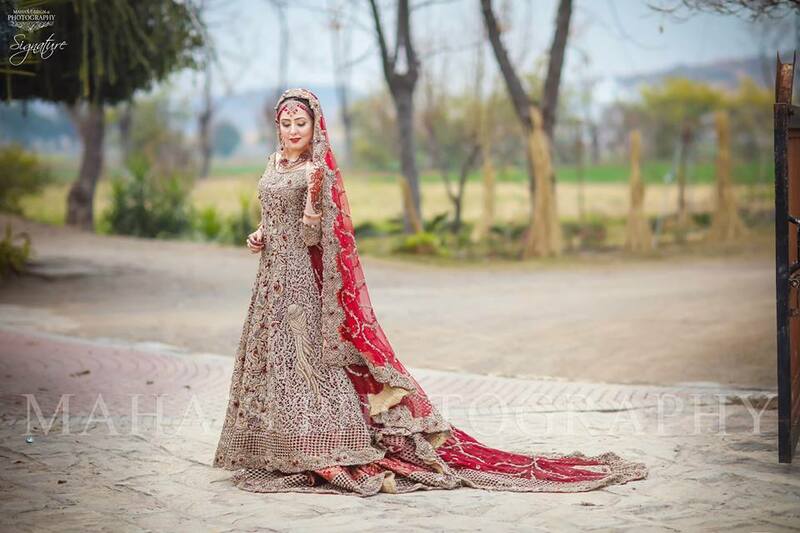 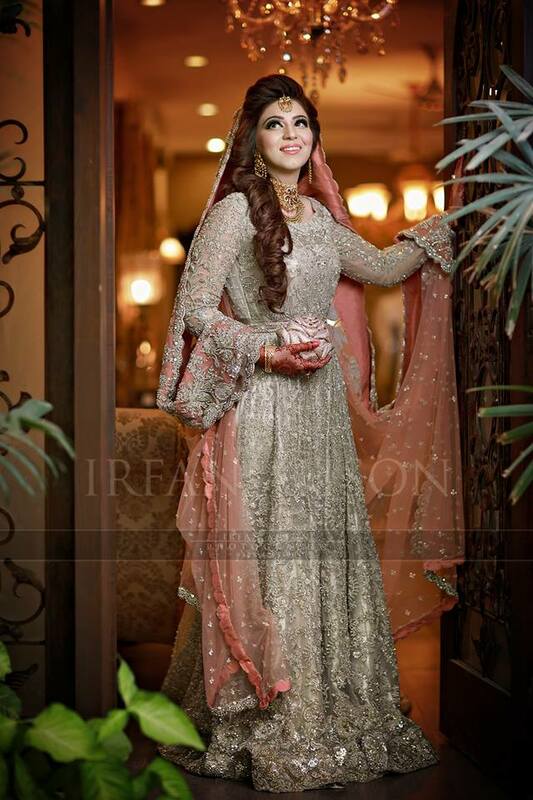 The latest and hottest collection of these bridal gowns is great for walima ceremonies, Barat days and mehndi functions as well as for the wedding reception. The long gowns with heavy work in striking hues give the bride the most alluring appeal. 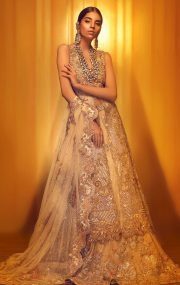 Latest Asian Bridal Wedding Gowns Designs with the long tail and a little flare are also on trend these days. 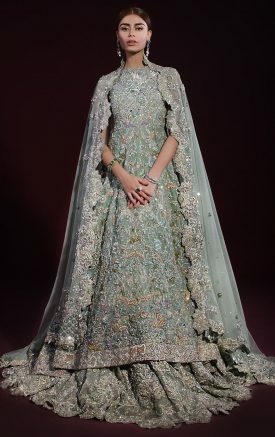 The front of these gowns is kept heavily embellished whereas the back is kept simple with a motif and decent embroidery on the borders. Gowns are usually kept straight but as some girls like it with a little volume so they can create it with the suitable heavy fabric. One of the many perks of carrying this apparel on your wedding day is that it is so easy to carry yet look as stunning as lehenga. The flares it has the look as classy as the traditional lehenga and sometimes, even more, elegant. 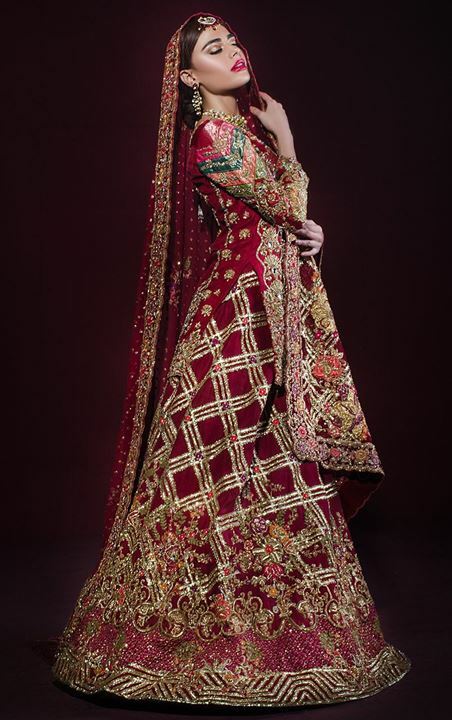 The cutwork on the Latest Asian Bridal Wedding Gowns Designs contains numerous beautiful intricate patterns. Some are given double and multihued fabric, either with the shimmer or without it. 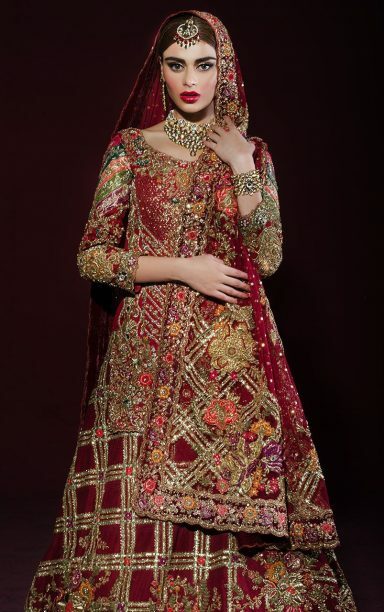 The combinations are overall kept bold and glitzy to give you an outstanding bridal appearance. 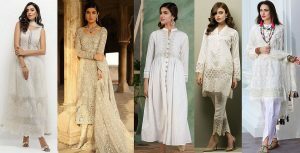 With a perfect makeover and a western style hairdo, these bridal gowns are the perfect choice for your dream ceremony.